Are you looking for a fast and powerful software program that's designed to meet your requirements? Here's the solution! Download and test Xara Designer Pro now for free. Get a hands-on first impression of this award winning program that seamlessly combines all the design tools you'll need in a clear interface for an optimal workflow and fast results! 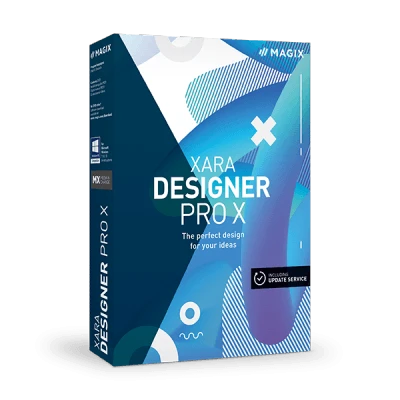 Whether for graphic design, photo editing, illustration, animation, presentations or webs design, Xara Designer Pro is the perfect choice to get the job done. Xara Designer Pro X is the world's fastest and most versatile all-round design solution created specifically for the unique requirements of ambitious and professional users. Now you can download and test this program for free. Design websites from the ground up yourself or use one of the many license-free example websites. Get the most out of your photos: Optimize, edit and retouch with high-performance tools. Create graphics, animations or 3D designs and use them in your print publications. Everything in one program!